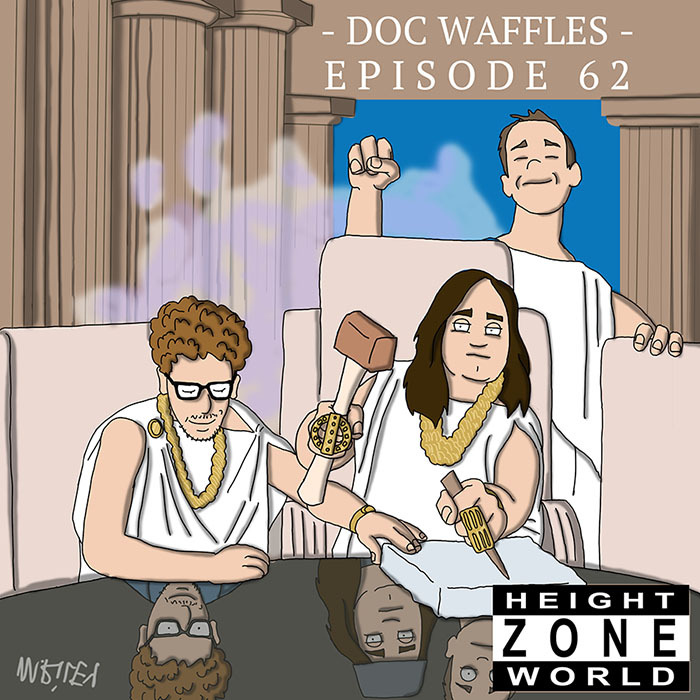 My guest this week is Doc Waffles, a tight Detroit MC. He’s been releasing great records since 2006’s Golf View Drive. I first became aware of him through his appearances in the Grind Time battle league, and I later became a fan of his music after we played a show together in Detroit. He talks about his days as a battle rapper, and how he sizes up the battle rap world today. He tells me about his various writing styles, and how he’s continued to change up his approach through the years. We talk about his collaborations with Eddie Logix, and their new album, This Week In Baseball. Mike Riley’s art this week is an homage to Sir Mix-a-Lot’s Seminar. This episode is hosted by Splice Today. Posted on October 12, 2015 October 12, 2015 by height keech	Bookmark the permalink.